It's not only St. Patrick's Day weekend, it's also Maple Weekend, across Western New York. Along with lots of tasty treats, the event gives producers an opportunity to recoup some of their investment. On Mayer Road, in Hamburg, on Smith's Maple Farm, owner Carl Smith's 13th season in business, as a maple producer, is underway. 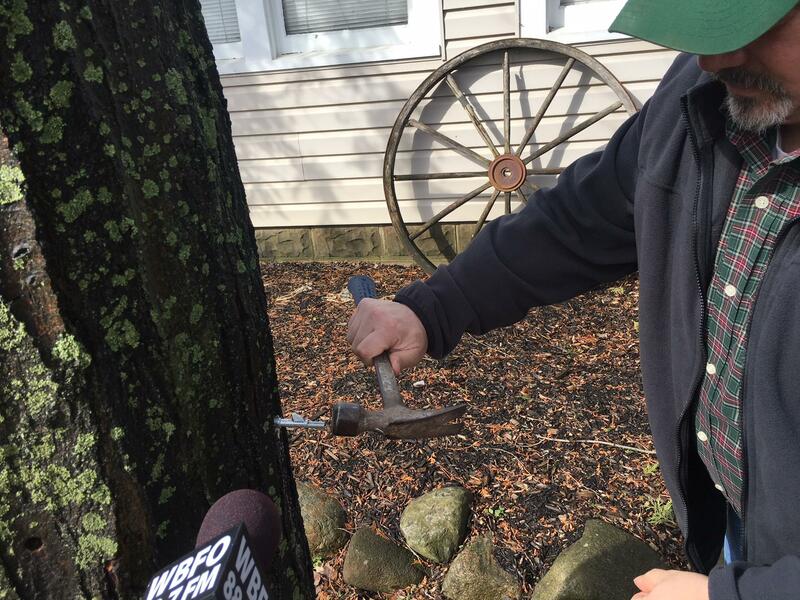 A small diameter, shallow hole, is drilled into the side of a maple tree. 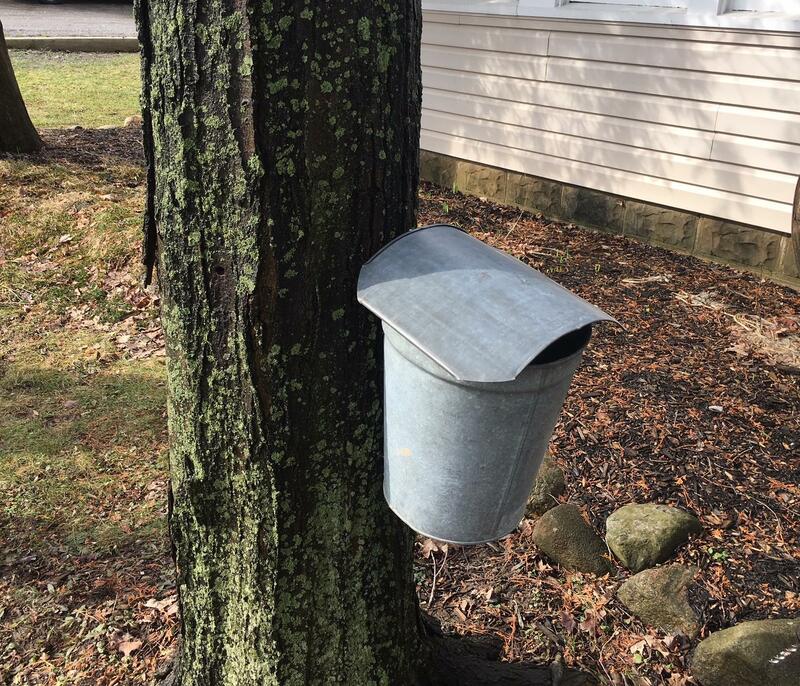 Then a short metal tube, with a hook on the end for the bucket, gets tapped in and the sap starts running. It makes its way into the sugar house where it's boiled down into the finished product. "It's a labor of love. You can make some money. 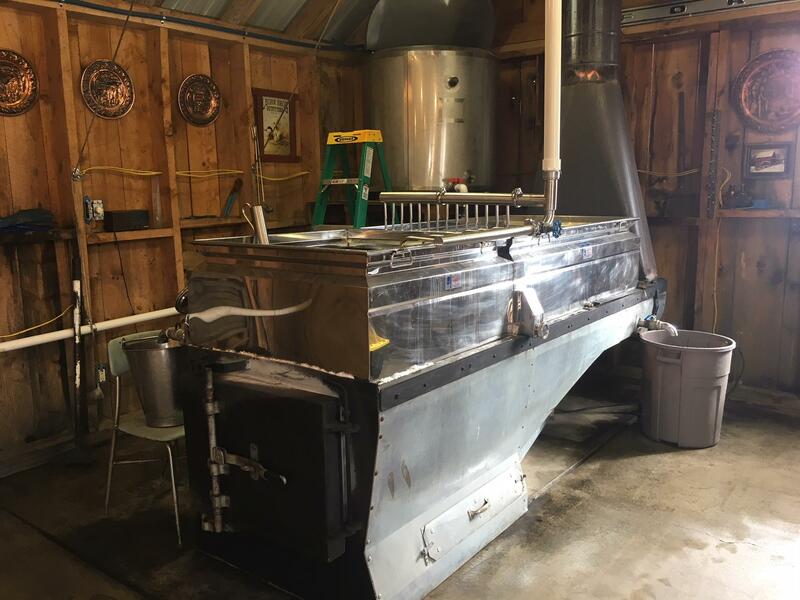 But you're initial investment, to be a semi-professional maple syrup producer, you're going to be $60,000 to $70,000 initial investment," Smith said. With the help of his wife and kids, and other collectors, Smith manages about 1,200 taps in nearby trees. "It's a lot of work and a lot of effort. 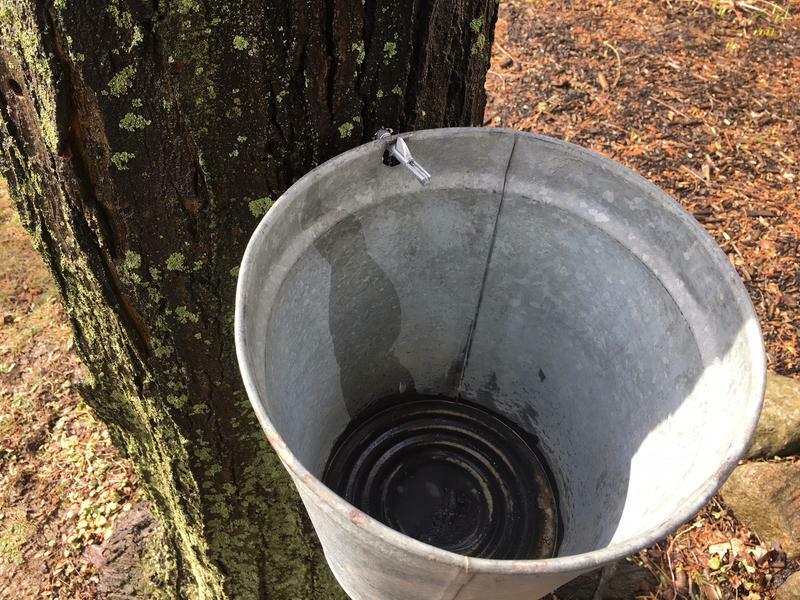 And it's a part-time business that, during the two months, from February to the middle of April, you gotta start up; put the taps out; go collect the sap; boil the sap," Smith said. It takes about 45 gallons of sap to make one gallon of syrup. And Smith says, he's hoping to make 300 to 400 gallons this year, just like always. They market about 80 percent of their maple syrup, candy, cream and nuts Maple Weekend, when Smith says, they typically get about 1,200 customers. "Maple Weekend, it's like the Super Bowl or the Daytona 500. You need to be ready and prepared to take the customers that come and put on a good presentation and demonstrate how to make maple syrup. And, we get repeat customers, year after year. And that's what the goal is. 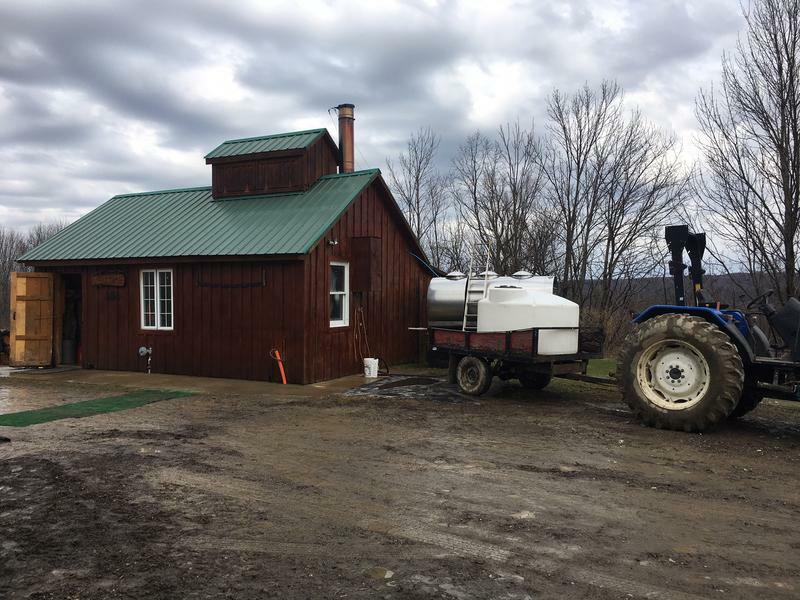 And for the smaller producers the goal is to retail rather than the wholesale and that's what Maple Weekend gives that opportunity for," Smith said. 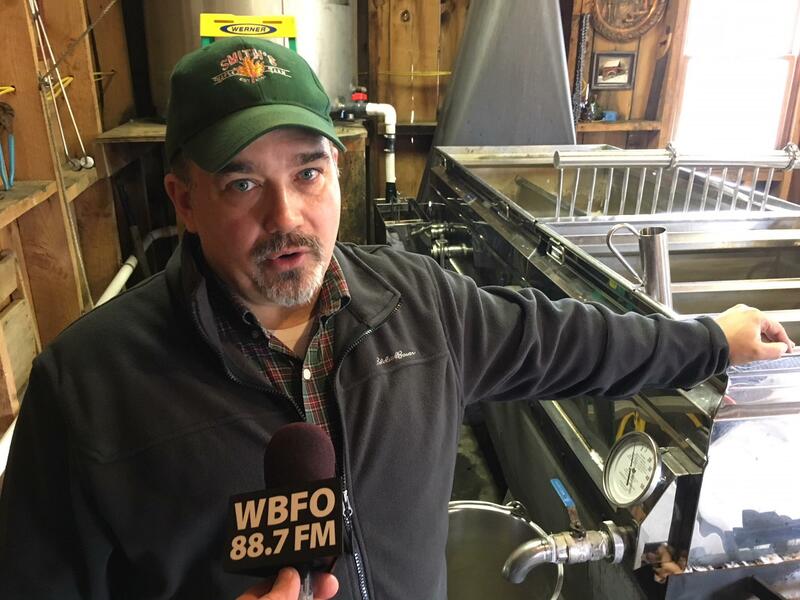 Greg Zimpfer, the President of the Western New York Maple Producers Association says, the annual event is important for thousands of small producers. "You've got probably 3,000 family farms, or maple producers, in the state of New York, making at least some or part of their living off of it. For some of us this is what I do full time. So, it's important to us," Zimpfer said. It's also important in Albany. The state estimates the maple industry's economic impact at $141 million annually. On a recent visit to Smith's Farm, Lt. 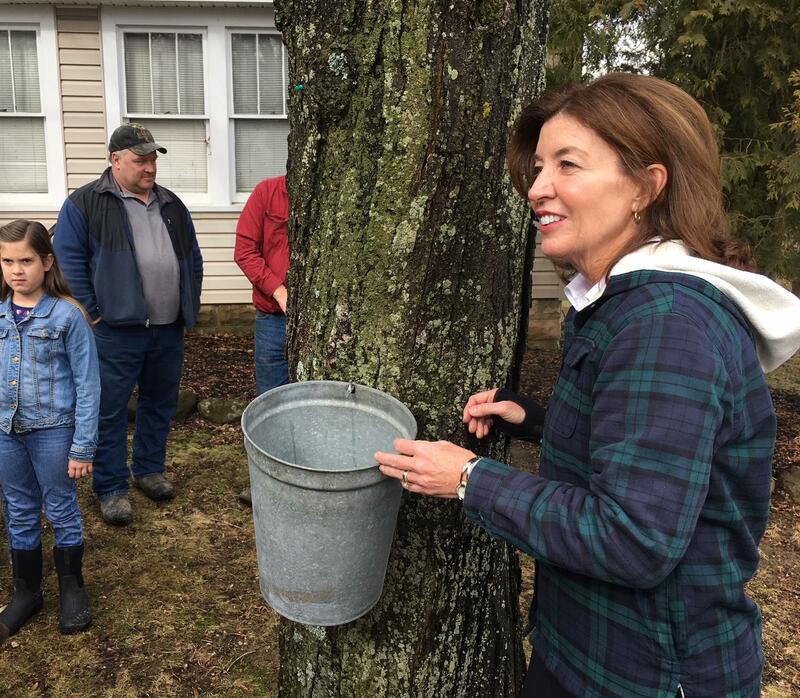 Governor Kathy Hochul pointed out, that New York state is number two in the nation for maple syrup production. And Hochul says, it's up 111%. "We set new records back in 2017, once again. And the number of production is just continuing to go through the charts. But it's very exciting. Not just because we're proud of this and we're very competitive, we're only second to Vermont, and Vermont better watch out. But, we also have the largest number of tappable trees in America," Hochul said. Last year, according to the state, there were 2.65 million taps across New York. Zimpfer says, the all natural sweetener is celebrated at about 180 locations statewide. "We have people doing walks in the woods. We'll have sap boiling. You can see it taste it. There's all kinds of samples available. My basic recommendation people is get off the couch and go out and go once. You'll get hooked, you'll go every year. There's places with pancake breakfast, samples of anything from maple barbeque sauces, hot sauces, maple sugar candies. I mean, if you can make it, you can try it. And there'll be all kinds of samples for people to try," Zimpfer said. 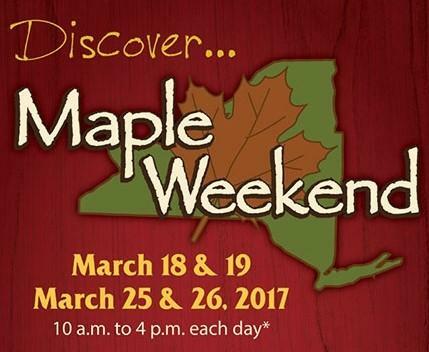 Maple Weekend is March 17 and 18 and again March 24 and 25. This week's fresh blanket of snow should provide a nice scenic backdrop for what promises to be a sweet and tasty event in the countryside. Maple Weekend also provides an economic boost for the region.